As the old saying goes, ‘If life gives you lemons, make lemonade’. The story of Umgibe is the inspirational triumph-against-all-odds tale of a woman who decided not only to make organic lemonade (metaphorically speaking), but to teach more than 600 others to do the same. Nonhlanhla Joye was diagnosed with cancer in 2014. 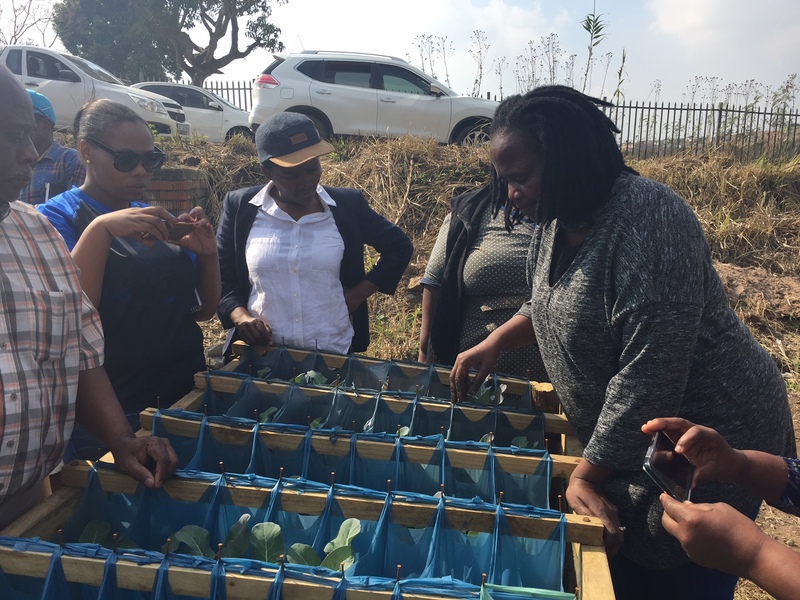 A single mother, unable to work to support her family and aware of the necessity of good nutrition to her own health, Nonhlanhla determined to grow her own vegetables. She dug up the soil in her back yard and planted her first crop, only to have the seedlings devoured by chickens. Frustrated but not defeated, Nonhlanhla decided to try again. This time, placing pot plants on the rungs of a ladder. This worked to some degree until a boisterous child sent the plants sprawling. Nonhlanhla then developed a wooden frame from which she hung plastic packets filled with soil. She planted her seeds in these bags and tended to them, noting how little water was required and how well the plants did. Nonhlanhla had stumbled upon something revolutionary. As a child, Nonhlanhla used an umgibe, an instrument upon which she and her family would hang their clothes and sleeping mat, protecting them from termites. Today the word ‘umgibe’ represents a lifeline to 603 smallholder farmers, the vast majority of whom are mothers, working to support their families. But the organization holds some firm rules for would-be members. 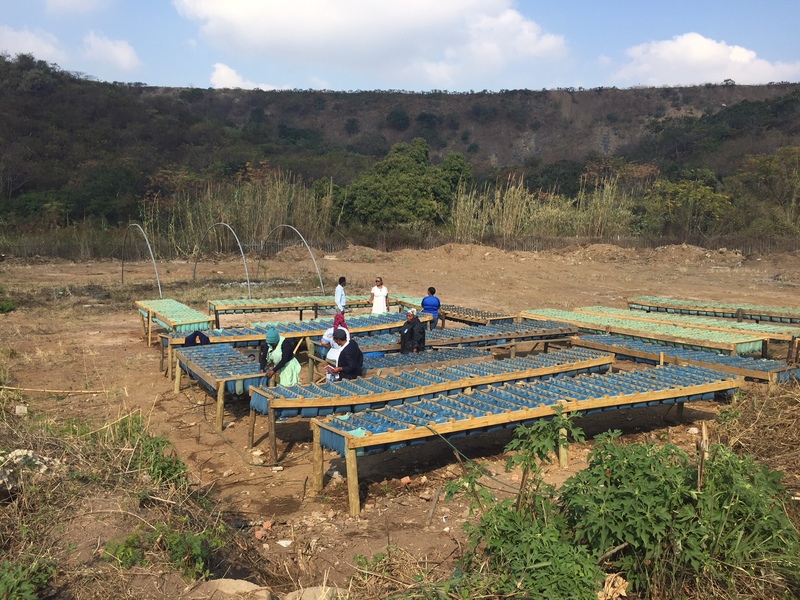 In order to buy into the Umgibe system (which includes the initial growing frame, growing medium and seedlings as well as becoming an Umgibe supplier to the market), farmers must attend a training bootcamp at which they learn the basics and sign a commitment to organic agriculture. In addition, Nonhlanhla is vehemently opposed to what she calls the “government waiting syndrome which is so prevalent among poor communities”. This means that applicants may not be the beneficiaries of any funding grants. She believes that only if your own earnings are at stake, will you truly feel the weight of your investment and give everything to see your efforts succeed. Once a farmer or a co-op has grown a crop, they can apply for co-operative incentive grants, but the idea is that these will be used for the sole purpose of expanding their business. Nonhlanhla also insists on a mandatory savings model whereby from a farmer or a farming co-operative’s third cycle, saving is compulsory. 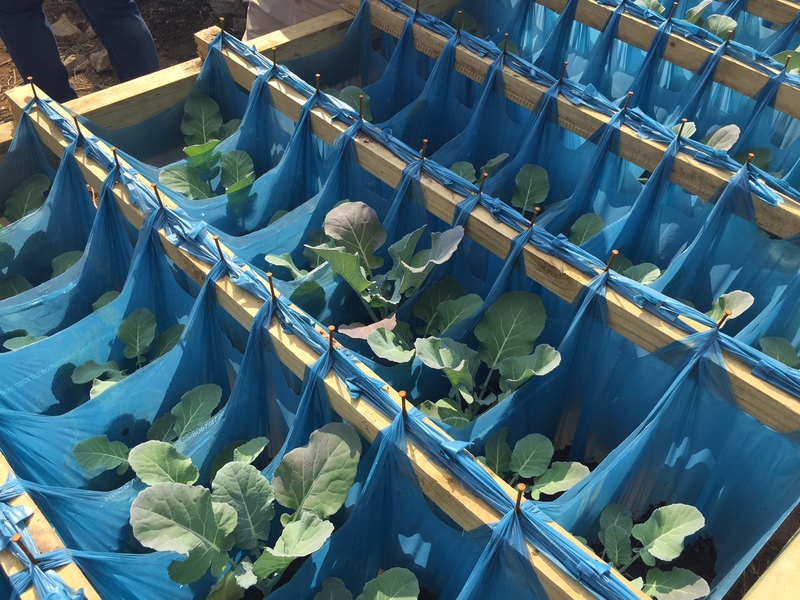 Umgibe is now in the process of installing their growing system in a number of the poorest schools in KZN, with the idea of teaching children how to grow their own food.